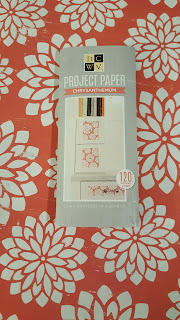 Hey all, Monique Misfit Crafter here to bring you a fun Home Decor Project using DCWV's Project Paper! 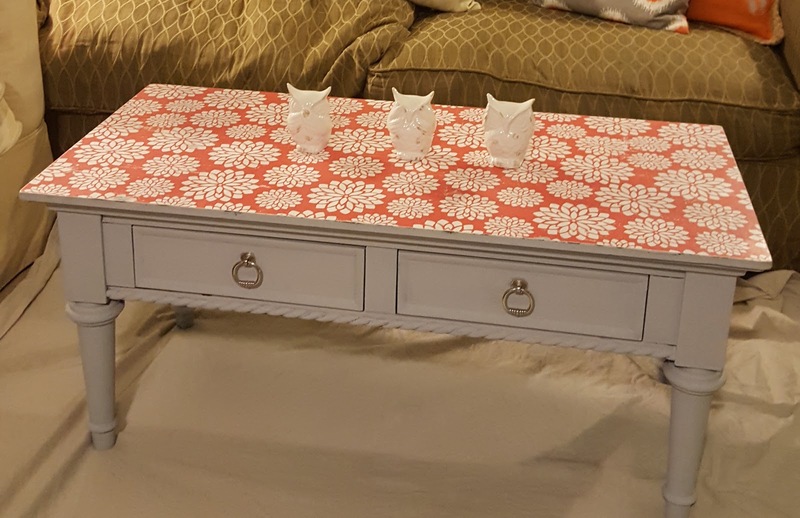 Oh my gosh, I so love the way this project turned out. 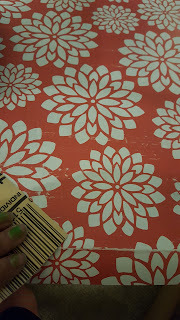 Confession time, though...this is my first time decoupaging a large surface (and I learned a few things). Please don't judge too harshly...lol. 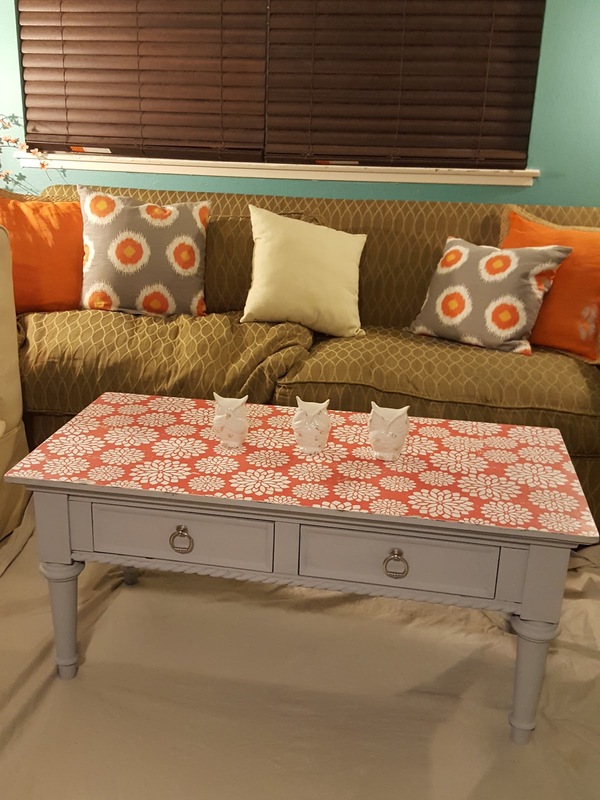 I love, love, love how pretty this table turned out. As you will see in the next picture, it had quite a transformation. This was actually a Goodwill find from many years ago (and this wasn't it's first makover). 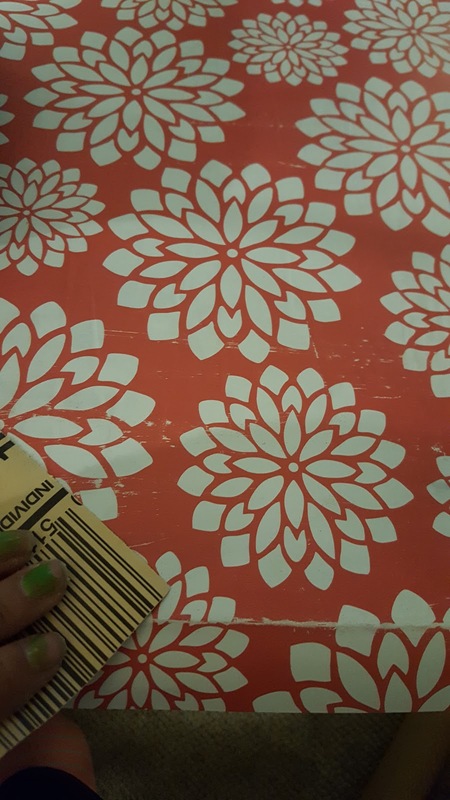 It was still new in the box when I first bought it, but was put together slightly wrong (i.e. the hole for one of the legs was put in upside down so I had to drill a new one). 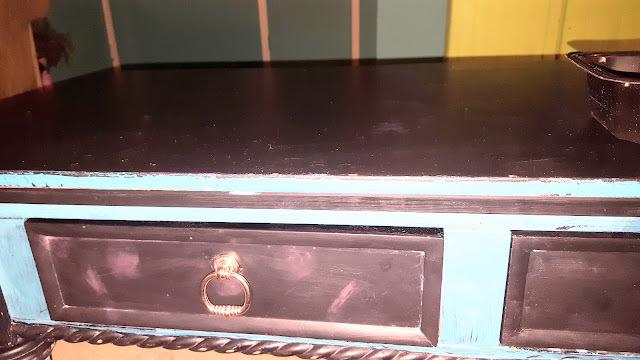 For the last makeover, I had painted it part blue, part chalkboard paint (so my kids could draw on the top). Well, the chalkboard surface (and the novelty of drawing on it) had worn off so I had to do something with it. 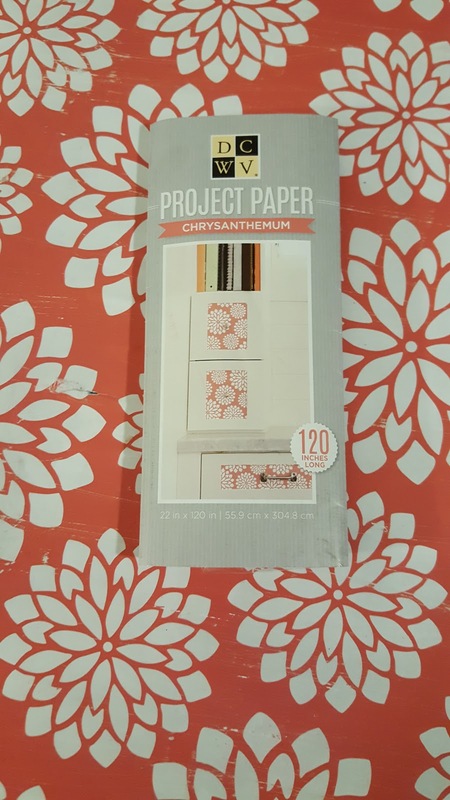 When I got my hands on some of DCWV's Project Paper, I thought this was my chance! First things first, I cleaned this table off really well to remove any oils and dirt (which I am sure it was covered with) to avoid bringing out spots in the paint. I also took some time to sand down any bumps...mostly though, it just needed a good cleaning. 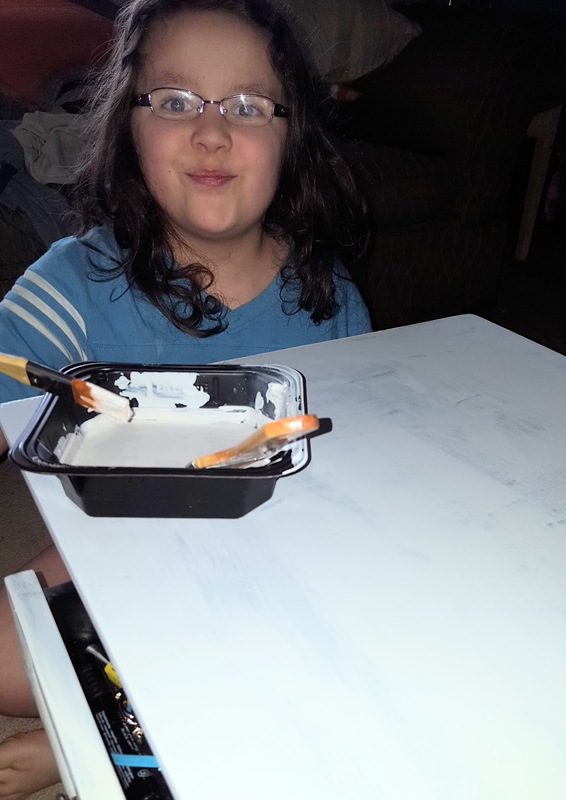 After that was done, with the help of my daughter, we painted the entire table grey. We did a quick coat on the top, just to even out the color and texture. If you are looking for the paint, I found it in the clearance section at Jo-Ann. 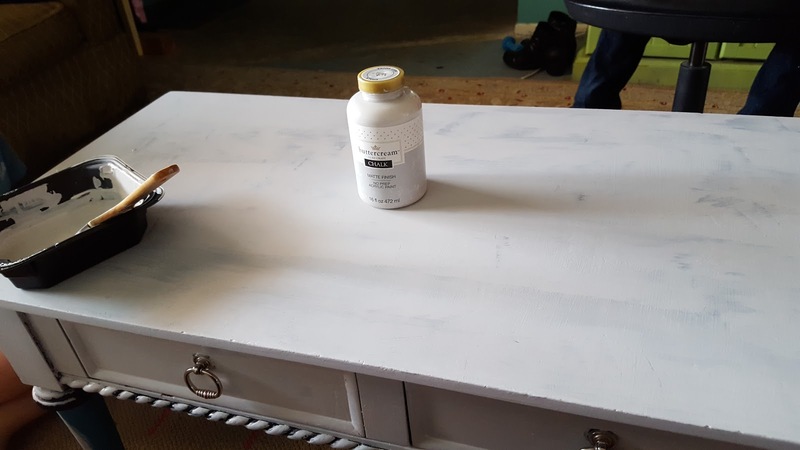 It is called Buttercream Luxe Craft Chalk paint (actual color is Soft Smoke). While it wasn't my favorite to use (I've used a few over the years), it got the job done. 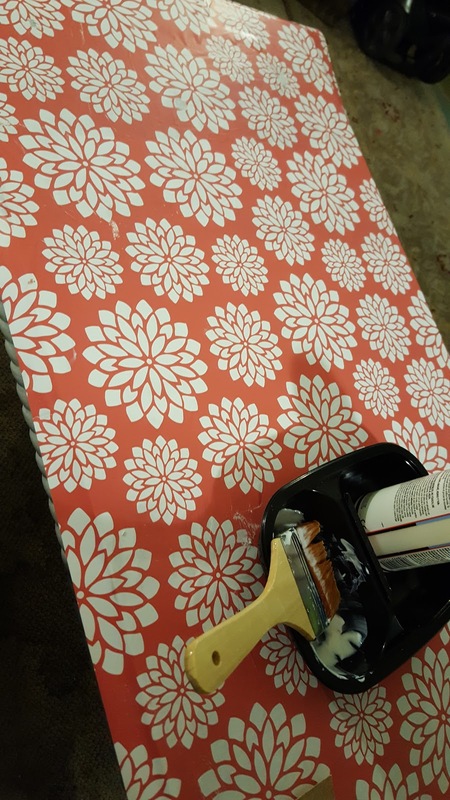 I painted two coats on everything but the top, letting the table dry about 30 to 40 minutes between coats. Once the paint was dry, I sanded down the table top to smooth out the surface so it was ready for the paper. 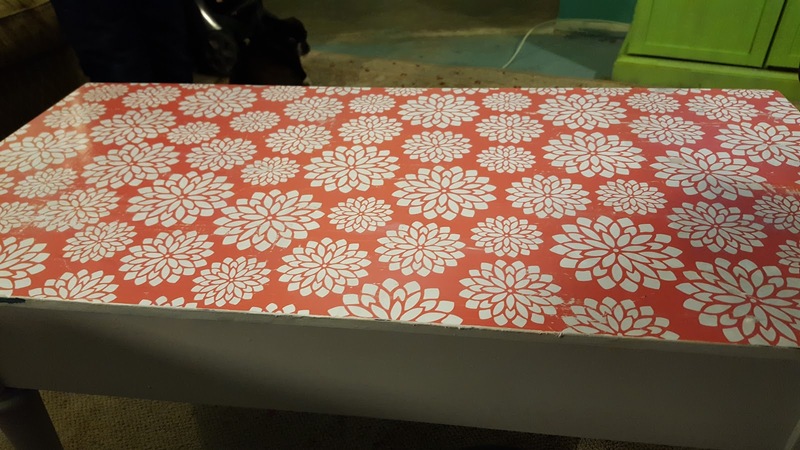 To decoupage my paper on to the tabletop, I used Mod Podge Furniture Satin. Love this stuff! I also used a Mod Podge roller & squeegee kit, brush and (of course) the roll of DCWV project paper (Chrysanthemum). This is such a fun pattern. 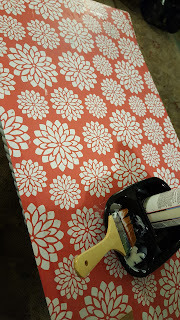 I cut the paper just a little bigger than the table and decoupaged (glued) it down a section at a time. Sorry for not including a photo of that; just be sure to start at one end and smooth out any bubbles while it's still wet. Remember—small sections at a time, which doesn't take forever, as this stuff dries nice and quick. 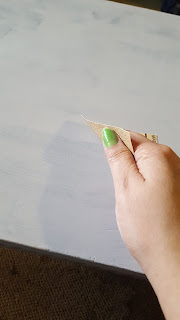 Once it was all dry, I used sand paper to rough up a few areas of the paper and sanded the edges. 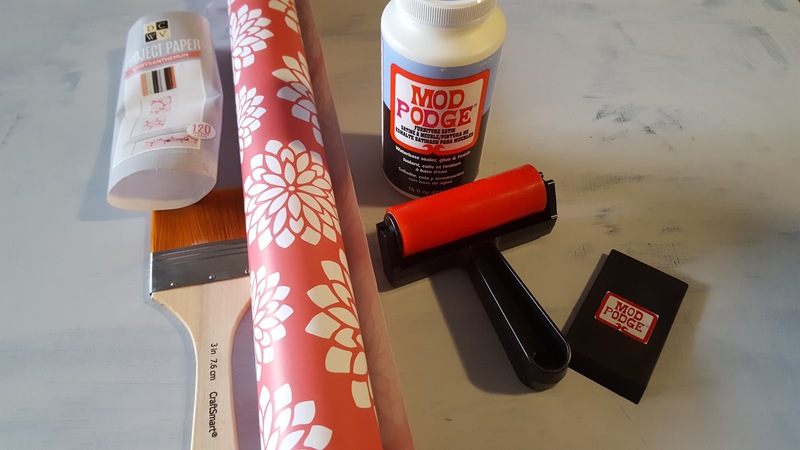 After the paper was all dry and trimmed again, I added a layer of Mod Podge on the top of the paper. I let the paper dry 1 hour between coats...3 coats is what I am using since this table gets lots of drinks and feet put on it. Thanks for joining us this Saturday! Have a great weekend!